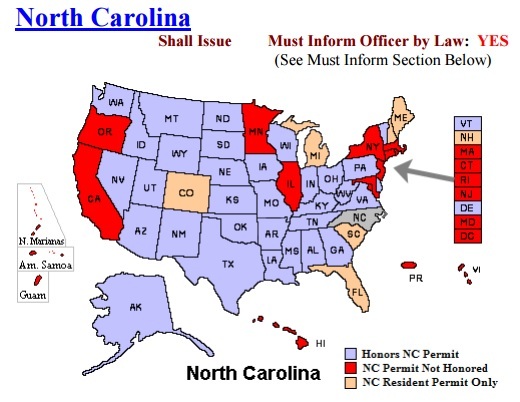 In recent years, the NC laws governing use of force, the Castle Doctrine, and where you may carry concealed have changed. If it’s been a while since you’ve taken your Concealed Carry Class, you may not be current on the laws regarding these issues. Our instructors have been to the Department of Justice and received the upgraded training so that we may bring it home to you. This class is open to all who currently hold a NC Concealed Handgun Permit and is offered in a joint classroom setting during the first half of the full concealed carry program. This ensures that you receive the full legal block of information with nothing left to question. With the implementation of these changes and recent events spotlighted by the media, the importance of current training is obvious. Reserve your seat, and make sure you have the most up to date information on NC statutes governing concealed carry as they exist today. NOTE: Workshops are not eligible for the training alumni discount as regular training classes are. They are designed specifically to keep prices affordable for repeated attendance. However, PBR Member discounts will still be honored.